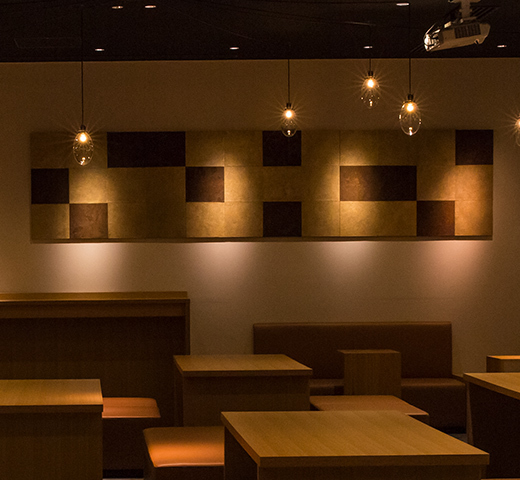 Kanazawa forms part of your trip.The lounge at Uan is not just a place in which to take a rest. experience traditional crafts, and appreciate works of art. 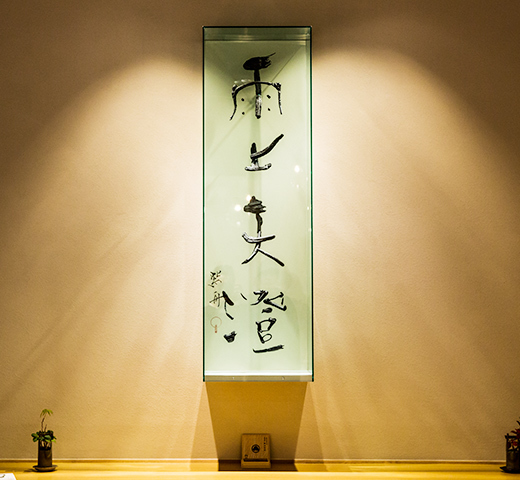 HARE-NO-MA is designed to make the time you spend here remain in memory as a highlight of your trip. Designed for you to enjoy on fine or rainy days. 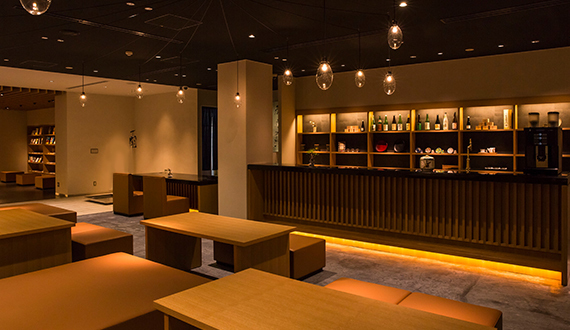 We have tables and chairs for casual use before sightseeing or returning to your room, and raised tatami mat flooring where you can take your time and relax. Choose the space with an atmosphere which best suits your purpose. 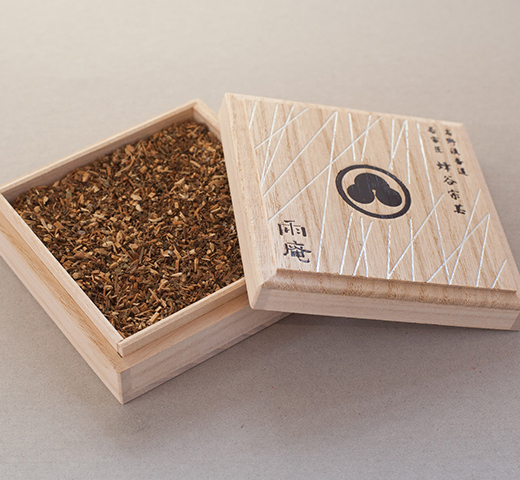 Savor the taste of carefully selected Kaga tea, 24 hours a day. Enjoy soba noodles after dining or drinking. Pass the time absorbed in a good book. Academia flourished in Kanazawa to the extent that it was known as the library of the whole country. So that you can enjoy a real, Kanazawa-like experience, we have prepared a range of books, including art books and novels. Care to celebrate your trip with the experience a traditional craft? 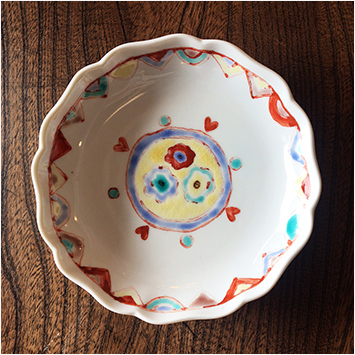 Uan hosts workshops for decorating a small serving dish or sake cup in the first floor lounge HARE-NO-MA. All overnight guests are welcome to join the sessions. *The schedule in June will be posted when confirmed. *Please pay the organizer directly on the day of the workshop. Only cash will be accepted. 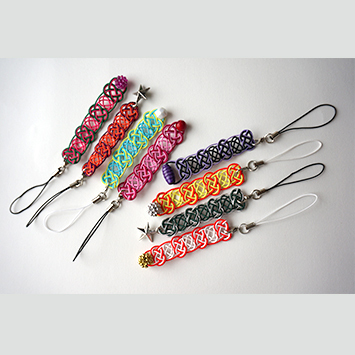 *Your decorated item will be fired at the organizer's studio and shipped to your home address. Please allow one or two months for delivery. 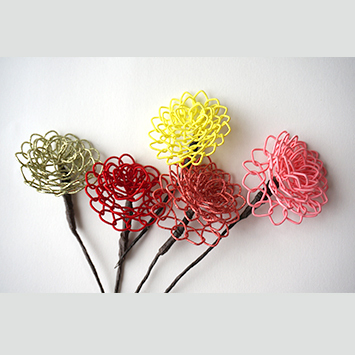 Uan hosts workshops for making mizuhiki paper strings at the HARE-NO-MA lounge on the first floor. Guests staying overnight, who are of elementary school age and above, are welcome to join the workshops. *The workshops do not have a fixed number of participants; however, the number may be limited as circumstances demand. The fee varies according to the paper string product. *Please pay the organizer directly on the day of the workshop. *Only cash will be accepted. 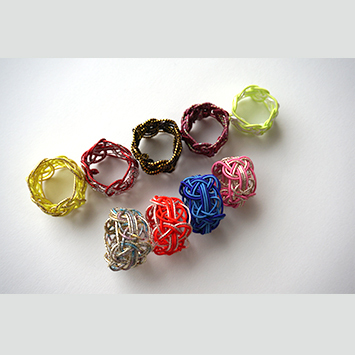 *Participants can bring home the Mizuhiki paper string product they made as a keepsake. Kaga Yuzen is a traditional dyeing technique that was developed in Kanazawa, Ishikawa Prefecture during the Edo period. 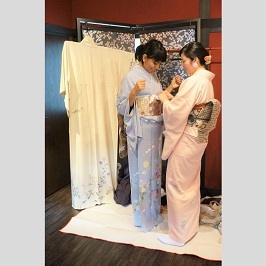 Try wearing a Kaga Yuzen kimono and have your photo taken as a souvenir of your visit to Kanazawa. You can easily try it by just wearing the kimono right over your clothes. The schedule in June will be posted when confirmed. 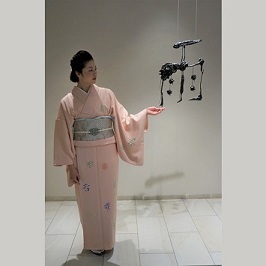 Works of art which are connected to Kanazawa through sensibility. Known for incorporating Japanese calligraphy into other art forms such as sculptures, media arts, and paintings, her latest artwork adds calligraphy etched in iron and glasses to the collection. Sisyu symbolizes the Japanese soul of "Zen" and sends the traditional work of calligraphy "Sho" into the new age with new perspectives. This calligraphic sculpture by the calligrapher Sisyu was exhibited in the underground exhibition hall of the Louvre Museum in Paris. It won her the Grand Gold Prize and garnered the comment, "Hokusai turned the solid into a plane, whereas Sisyu turned the plane into a solid." This work shatters the idea that characters are flat. 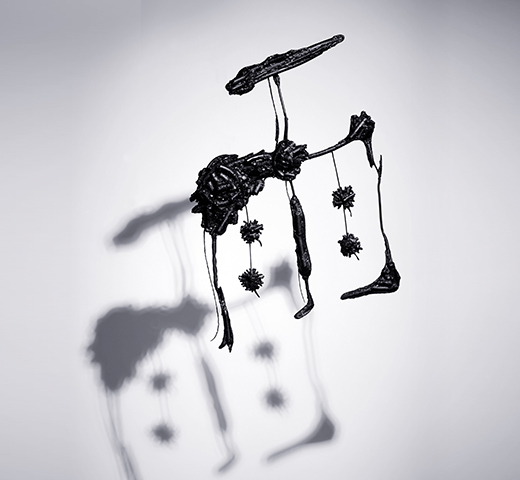 When subjected to light, the sculpture's shadow serves as a key part of its expression. Japanese writing in use today derives from oracle bone script dating back 3,300 years. The characters engraved by ancient Chinese in cattle and deer bones were three dimensional, and had depth in addition to length and breadth. By tracing the 1,300-year-long history of Japanese writing and converting the plane into the solid, Sisyu is said to have conceived a new form of calligraphic art. 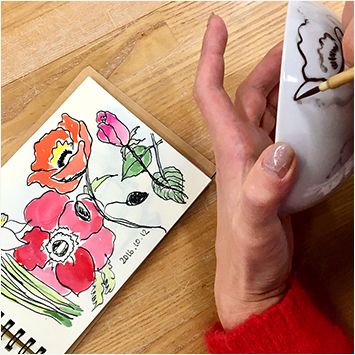 When calligraphers move the tips of their brushes over the paper, they create a sense of solidity from flat surfaces and a sense of depth in the paper, at times stroking deeply, and at times merely caressing the surface. Sisyu translates this sense of the brush stroke into visual form in an entirely new style of calligraphic expression. The sculpturesque writing employs lines both far, where the ink is applied heavily with pressure, and near, where the brush only skims the surface of the paper. The technique of providing multiple viewpoints bears a resemblance to that used in cubism, pioneered by Pablo Picasso in the early 20th century, earning it the title "Calligraphic Cubism." designate of the Shino School of Incense "KODO"
Born the eldest son of Sogen Hachiya, 20th generation grand master of the Shino School of Incense "KODO," Sohitsu Hachiya trained at Daitokuji Temple and was given his sobriquet from the 530th generation head priest, Gyokudo Izumida, before becoming grand master designate. A fragrance that is fresh and yet calming, reminiscent of a stone pavement wet with rain—this was the inspiration for Uan's exclusive scent box, created under the supervision of Sohitsu Hachiya, 21st generation grand master designate of the Shino School of Incense "KODO." A base of aromatic sandalwood is blended with 12 materials ranging from traditional Japanese cinnamon and borneol to modern calone and peppermint. The exclusive bouquet is presented to guests of Uan as well as offered for sale in the scent box. This artwork by creative team "secca," based in Kanazawa, is made under the theme of enjoying the scenic rain in the city of rain, Kanazawa. The 6,130 pieces of thread come in various colors, but they are not positioned at random. The threads are divided into eight colors by amount of precipitation based on data published by the Japan Meteorological Agency. Clear days are expressed with white, and rainy days with seven colors. Longitudinal threads represent the day, and lateral threads the year. The total of 6,130 threads depict rainfall data for Kanazawa between January 1, 2001, and September 30, 2017, when the Uan building was completed. 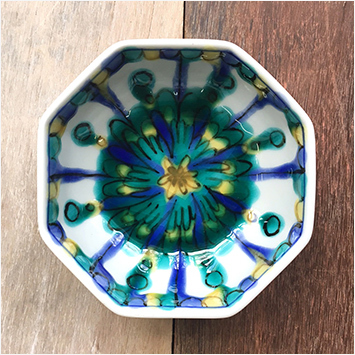 secca Founded as a venture in 2013, secca fuses traditional Japanese craftsmanship with new technologies and interpretations to present fresh values in production methods. Representative Tatsuya Uemachi, Creative Director Yuichi Yanai, and Adviser Hitoshi Miyata lead the team of designers and artisans to hone one another's skills and give shape to original ideas. 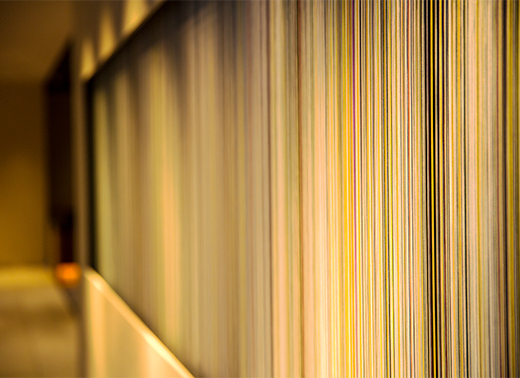 The art panel embellishing the first floor lounge HARE-NO-MA is made with the traditional Japanese materials of washi paper and urushi lacquer. The golden washi is made of 100% hemp, dyed gold using the screen printing process, and given varying intensities of color with hon-urushi. The diatomite washi is a special composite employing diatomaceous earth. The two types of washi are combined to produce a stunning design with distinct textures. Washi paper made with the same techniques is used for the information cards in Uan guest rooms. From the late premodern Edo period through the Meiji period of modernization, brides in the Noto, Kaga, and Etchu provinces constituting the Kaga Domain were customarily given a noren curtain to pass under when entering the groom's family altar room. 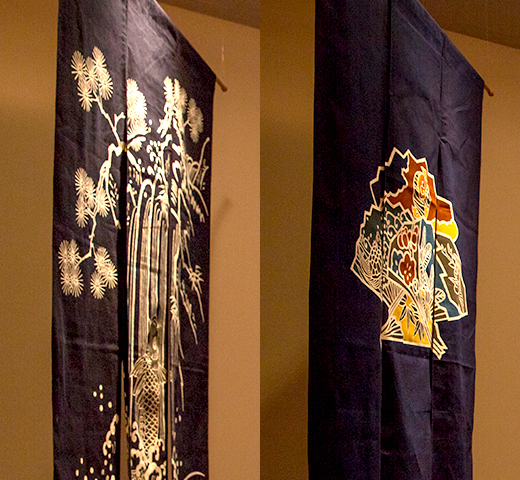 Although the custom is no longer observed today, noren curtains remain a treasured traditional craft of Kanazawa.The noren curtains and furoshiki cloths displayed in Uan are made using the Kaga Okuni-zome dying technique. 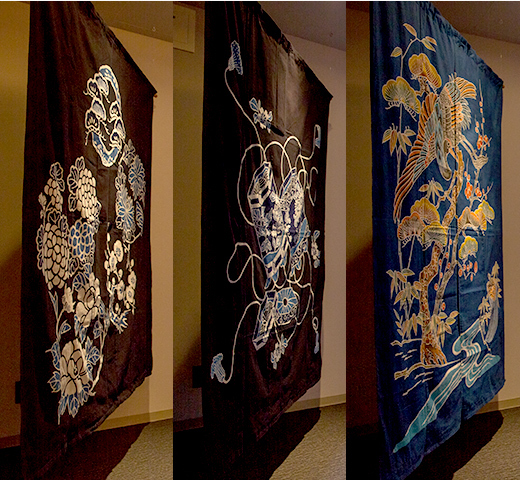 These artworks offer insight into the unique techniques of dye artisans in the Kaga Domain, the delicate aesthetics of yuzen dying, and the history of dyed and woven textiles used by the ordinary people of Kaga under the rule of the feudal government.